What Is Kiddie Cushion Mulch? Playground mulch or engineered wood fiber is sold under several names, including Kiddie Cushion, Kid Kushion and Kiddy Cushion mulch. 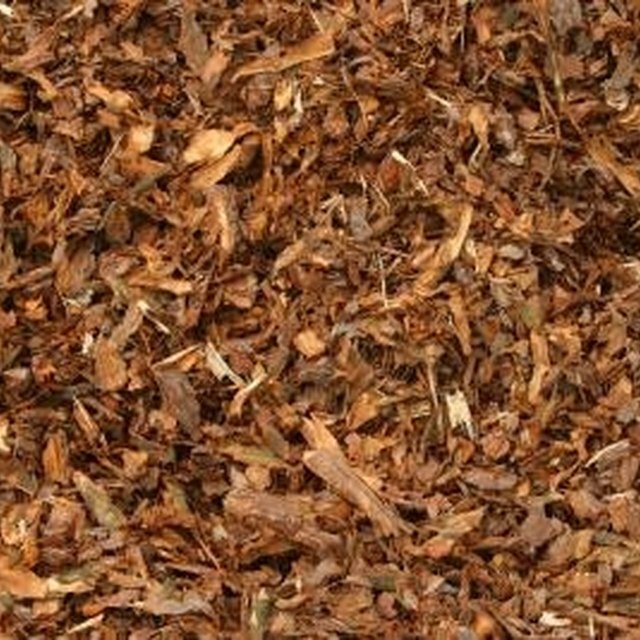 This type of mulch is used to protect children at play and is carried by many landscaping and play area surfacing companies. The Dirt Cheap Mulch Company of Humble, Texas, has filed for a trademark including the Kiddie Cushion name for its wood chip mulch. Kiddie Cushion mulch provides cushioning against falls and prevents injury to children as they play on and around playground equipment. The mulch can provide protection in play areas of homes, schools, day care centers and municipal playgrounds. According to the All Play website, Kiddie Cushion mulch “meets ASTM F 1951 guidelines for public playground surface accessability” The mulch is also useful in dog runs and as horse bedding. Kiddie Cushion mulch is made of wood fiber. It does not contain chemically treated wood, preservatives, wood waste or wood pallets as a source of fiber. The mulch may contain a mixture of soft woods such as cedar, pine, spruce, fir and others. The mulch depth required to offer adequate protection varies depending on the height of a potential fall. State regulations may also determine the mulch depth required at some facilities. The All Play website recommends using a depth of 6 to 8 inches after compaction for trails and 8 to 12 inches after compaction for playground areas. Generally, mulch suppliers suggest 1 inch of mulch per 1 foot of fall height, so a 12-inch-thick application protects against injury around playground equipment up to 12 feet high, according to the Outdoor World of New England website. Measure the length and width of the area you need to cover, in feet. Determine the depth of mulch you need, based on the height of the play equipment, in inches. To convert your figures to cubic yards, multiply the length, width and depth figures, then divide the result by 324. Take into account that your mulch will settle, so consider a depth in excess of the minimum number of inches. The National Network for Child Care recommends establishing a fall zone of 6 feet in all directions around climbing equipment and swing supports. When ordering mulch, other costs may apply in addition to the mulch itself. These can include installation fees or labor, transportation or delivery charges and minimum purchase amounts. These expenses may contribute considerably to the cost of your project. KiddieCushionMulch.com: How Much Mulch Will I Need?